Beeswax is a natural substance made by honeybees that has been used since ancient times for its amazing benefits. Ancient Egyptians and Roman cultures used beeswax as natural skin and beauty products. Today, it is still used in the production of many products such as candles, lotions and cosmetic products. 1- Skin Care. In his book, How to Use Beeswax and Honey to Cure Skin Problems, Gene Ashburner discusses the healing skin benefits of beeswax. 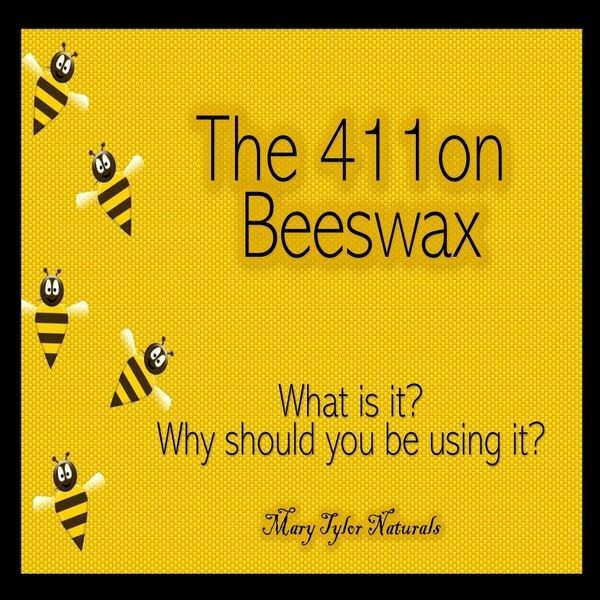 His book explains that beeswax contains vitamin A and is moisturizing to skin, yet doesn’t clog pores. It is also used in the treatment of skin conditions such as eczema, diaper rash, dermatitis and psoriasis. Beeswax has been researched to help the body produce collagen which can aid in the healing of stretch marks and scars. 2- Natural Remedies. The Korean Journal of Internal Medicine performed a 24 week study that revealed beeswax normalized liver function and improved symptoms of fatty liver in the test subjects. When mixed with honey it has also been used as a treatment for candida. Beeswax can be used to naturally lower cholesterol levels as well. 3- Anti-inflammatory. Beeswax has been researched to help ease inflammation and joint pain in patients with arthritis and joint stiffness/pain. It is an added ingredient in many topical creams to ease pain and discomfort. 5- Natural Base for homemade products. Beeswax is a wonderful component to add to your life if you are a DIY enthusiast. Natural products such as candles, chapsticks, makeup and lotions can be made without the use of chemicals and toxins. See our recipe section for suggestions on great natural, DIY recipes!